Paphos, voted the designated European Capital of Culture in 2017, is composed of contrasting elements. For some, a place of beaches, restaurants, cafes, nightclubs, spa hotels and harbour strolls. For others, a place of Roman mosaics, fallen monuments, village hideaways, secret catacombs and Byzantine hermitages. Cyprus boasts more sunny days in the year than most other places so, whenever you go you won’t be disappointed, so do not worry about going in the quieter months between November and April. This period is less crowded and an ideal time for a short break and a fly-drive to explore the island. On arrival at Paphos Airport you will be transferred to the Axiothea Hotel in Paphos. This afternoon take a stroll from your hotel and explore the surrounding area. Wherever you are in Paphos there are restaurants, cafes and tavernas all round you. Enjoy a leisurely evening meal. The Axiothea Hotel can be replaced by any of our featured hotels in Paphos - ask us for the supplement. Overnight at the Axiothea Hotel, Paphos Town. After breakfast, you will meet with Angela our Cyprus manager. 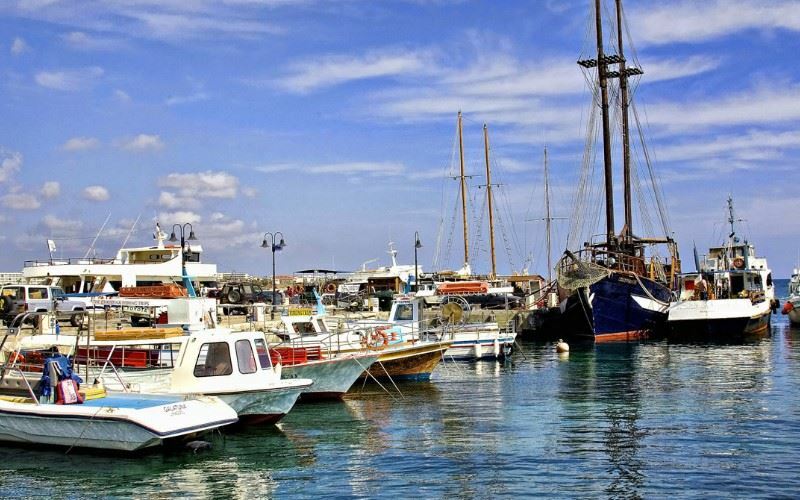 Angela lives in Paphos and there is little she does not know about the town, where best to eat and what to do and see (far better than a Google App). After lunch, a private walking tour with a licensed guide of Paphos Town and the archaeological sites (entrance payable locally) is included in the itinerary for you. A day at leisure in Paphos. This can either be spent exploring the city or taking one of the many excursions available to the mountains, to Curium theatre, and the city of Limassol. Angela is always there for help and suggestions. Alternatively, why not hire a car for the day and explore the interior of the island using one of the Cyprus Sustainable Initiative’s Village Routes guide. After breakfast, you will be transferred back to Paphos Airport for your return flight home.